Over the last few weeks, my friends have expressed a fondness for Cuban food, so I decided to take them to a Toronto, Cuban restaurant that I had recently been introduced to. The restaurant, named La Cubana, currently has two locations – each with slightly different menus. For their first visit, I took them to the one which I had visited, on Ossington Avenue. The experience I had there was different from anything else! From the minute you walk in and see the decor, you can tell that it is different from normal restaurants. The main dining room is set up with an old-style lunch counter, complete with a bar and high chairs. There is nice Cuban music playing in the background, adding to the relaxed and open atmosphere. The menu is simple and straightforward, and includes many types of pop, Cuban sandwiches, meal plates, appetizers and desserts. Bread and buns are baked fresh, in-house, and everything is served hot, fresh, and quick. The food is always properly cooked and well prepared, with diverse (and tasty) flavours. On top of that, the servers are all extremely friendly and knowledgeable, and able to provide detailed descriptions of the various dishes and recommendations. Near the end of our dining experience, the restaurant ended up having a problem with the internet and consequently, it affected their credit card machine. The bill took 10 minutes to produce, and the servers, empathetic to our situation, took a drink off of our bill. 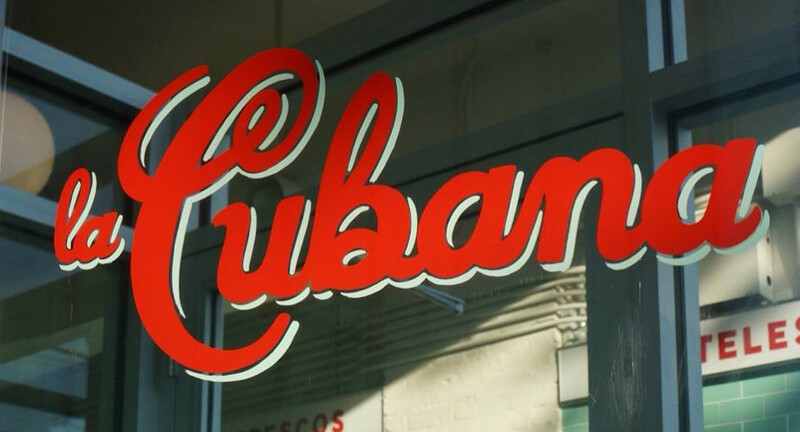 For a taste of Cuban cuisine without travelling, check out La Cubana!